Richard Rushing studied at Northwest Baptist Seminary, located in Tacoma, Washington. He has pastored churches in Washington and California, and is currently serving at Bethany Baptist Church. 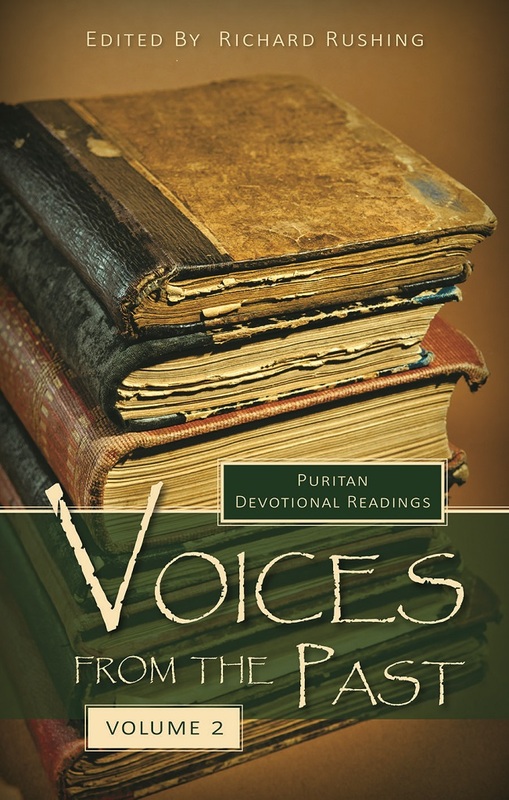 Richard Rushing’s books include his compilation of Puritan daily devotionals, titled Voices From the Past, created to share rich spiritual treasures with contemporary Christians. He has compiled a 2nd volume in the same series, Voices From the Past, Volume 2, which contains an additional 365 daily devotionals written by many Puritan favourites, like John Bunyan, Thomas Manton, Thomas Brooks, Stephen Charnock, and David Clarkson. Rushing has carefully chosen readings to include in these 2 volumes, selecting some material that is still widely in print, with other material that is more difficult to find at the present. Each devotional provides a prayerful thought for the day, and will cause readers to want to explore more material from the Puritans.